Fall is beginning to come upon us as the sun begins to rise sooner and set earlier. Although the afternoons are still warm, the mornings are nice and cool. This weekend the missus and I visited the in-laws in Quincy. The MFFR was going to be were I spent the morning the following day after relaxing and visiting with the family. The fall transition is still in its early stage so this visit to the MFFR could have either been a hit or a miss. The high forecast in Quincy the day before my morning excursion read 93°F. For a town that's about 3,000+ ft above sea level that's pretty damn hot. The night lows have been in the 50s which could be favorable for the fish. Guide Jon Baiocchi explains that the trout in the MFFR are specially adapted to the warm water that runs throughout the system in the summer. 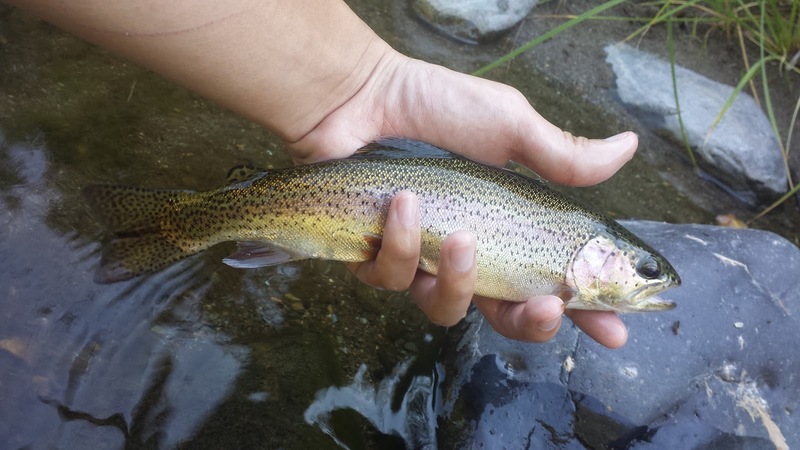 Since the MFFR is one of the few large streams in California that is not dammed, I have reason to believe these trout may have adapted to these warm conditions a very long time ago. 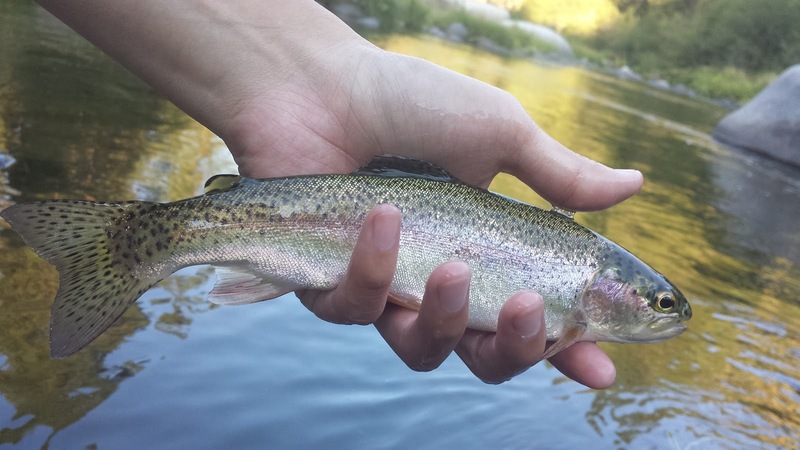 Trout still need cold water to survive though so if the water is too warm it won't be easy to find them or safely practice catch-and-release. I rolled the dice on this trip and was pleasantly surprised. My morning started below La-Porte bridge where I set-up my 3WT and tied on a PT nymph with a midge dropper. "When in doubt, fish a midge pattern" Often when hatches aren't happening during the transitional period between seasons I have trouble finding the correct flies the fish want to see. A while ago I discovered that midges work incredibly well during these times. 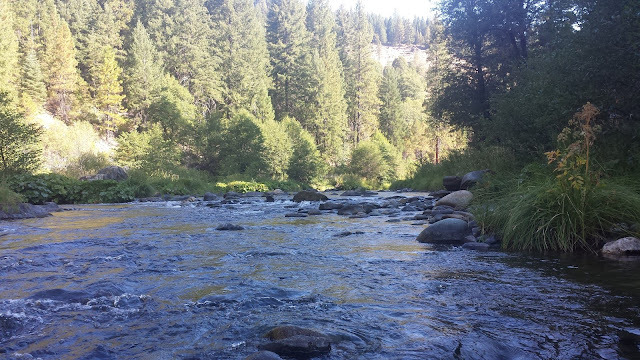 As I worked my way downstream I noticed that the water was cold enough but not optimal. Trout need high levels of dissolved oxygen, which there is less of when the water is warmer, therefore they will seek refugee in heavy riffles and white-water where high levels of dissolved oxygen can be found. By making these spots my primary target I was able to tight-line nymph a few hook-ups and release three beautiful MFFR bows during my trip. They all ate the midge pattern.